Chris Gebhardt and Natalie Cruttenden both graduated from their naturopathic studies in 1995 and have worked together since that time. They share a deep commitment to holistic medicine and continue to advance their practice by regular attendance to cutting edge nutritional and naturopathic conferences. They are fully committed to each patient who attends their practice and strive to deliver the highest quality individualised health care. Chris Gebhardt is a registered acupuncturist and naturopath. Since graduating as a naturopath in 1995 Chris has gone on to practice and study extensively including an undergraduate degree in acupuncture and post graduate studies in Japanese acupuncture, Emmett Technique and an internship at the Guang Xi TCM Hospital in China. Chris delivers a unique style of physical therapy that offers quick and lasting relief to a broad range of musculoskeletal issues. He also works closely with Natalie in the care of patients with fertility issues. 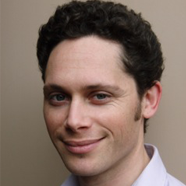 Chris is also highly sought after as a practitioner for those suffering from chronic and complex digestive disorders. 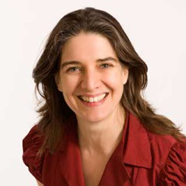 Natalie Cruttenden is a naturopath with over 20 years’ clinical experience. Natalie also spent a number of years working as a Registered Nurse at the Royal Women’s Hospital, which proved invaluable to her naturopathic practice. Natalie’s lifelong interest in nutrition has lead to her particular focus in digestive health seeing many people with SIBO, food intolerances and other gut related issues. She also works closely with patients with autoimmune issues as well as athletes consulting for sports nutrition.